We woke up this morning to the news that a new milestone had been reached – but unfortunately, not a milestone to be celebrated! For the first time in human history, the concentration of carbon dioxide in the atmosphere had exceeded 400 parts per million (ppm). Two independent teams of scientists, one from the U.S. National Oceanic and Atmospheric Administration, and the other from the Scripps Institution of Oceanography, confirmed that the daily average had crossed 400 ppm for the first time in its half century of recording. According to available data, the last time CO2 levels had reached this mark was probably 3 million years ago, that is, before we humans had evolved. Crossing this scary threshold simply means that we could be seeing many of the predicted impacts of Climate Change even faster than we expected. 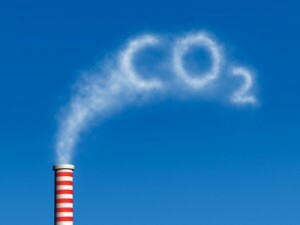 "The 400 ppm threshold is a sobering milestone and should serve as a wakeup call for all of us to support clean energy technology and reduce emissions of greenhouse gases, before it's too late for our children and grandchildren," said Tim Lueker, one of the scientist at the Scripps Institution. The question is: who is listening to this wake-up call? While we may point a finger at China or the United States as being responsible for this catastrophe, and angrily demand that their governments immediately take the long overdue steps to reduce carbon emissions, we should not forget that India too is among the top 5 carbon emitters. And it is the daily lifestyle choices that we make – the energy guzzling choices – that have dragged us to this regrettable milestone. It’s a wake-up call especially for people like us in Mumbai, where an energy devouring lifestyle has become a status symbol. It's a time to resolve that our personal carbon footprints will not lead the world to the next cataclysmic milestone. 400 ppm again after 4 million years? We're screwed.